Thanks OC for showing you care! The weather by the beach was overcast and cool. Perfect riding weather! 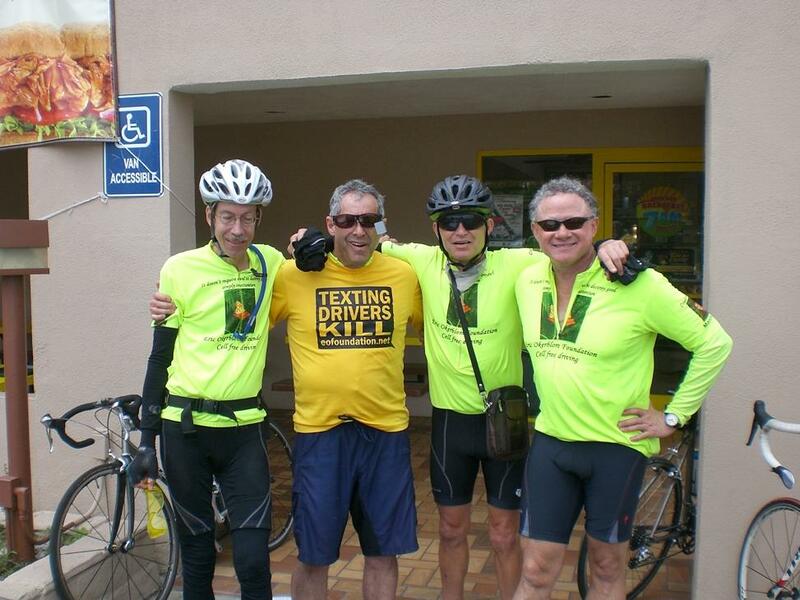 Meeting the riders of the Protest Pedal at the County Line, we moved south and took a short break for lunch. After lunch, two riders dropped out of the peloton and into the support wagon. 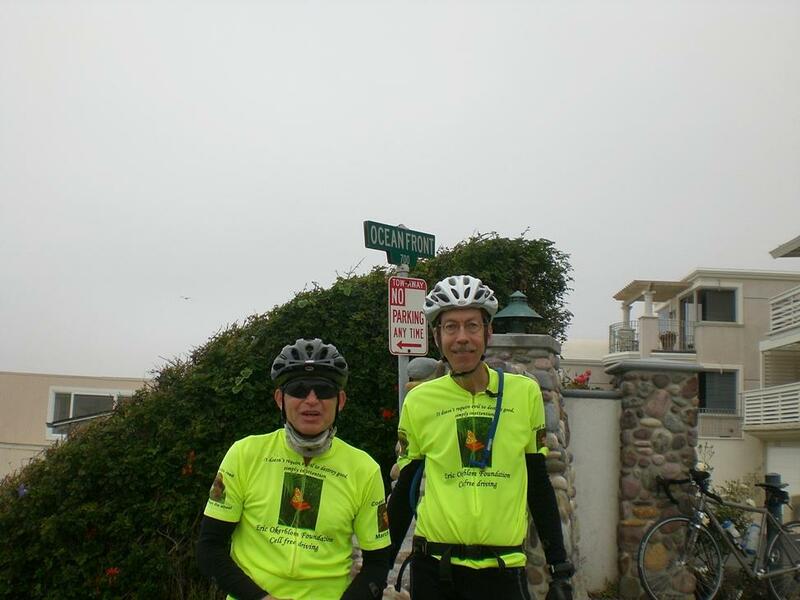 Maybe it was my description of the dangers lying ahead or they were just due for a breather after braving the Wilds of Wilmington riding from Santa Monica that morning. In any event, we would regroup soon enough in San Clemente. Making it through Sunset Beach we rode down PCH into Huntington at a brisk pace. Riding in the door zone is never fun so the pace slowed as the point man kept a sharp eye among the traffic on the left and the people and cars on the right. We were still moving faster than taking the bikepath through town. After quick break on the north side of Newport, I gained the sense of traffic, and opted for the “tourist route” around the worst part of PCH in Corona del Mar (CdM) by rolling by the homes and yacht clubs on the bay. 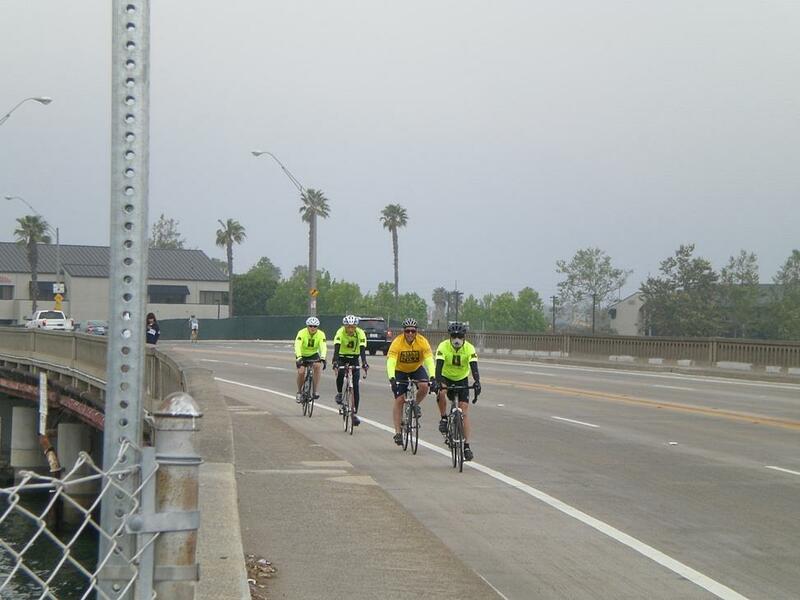 Freed from the confines of CdM, the peloton picked up speed as we neared the southern reaches of Newport. Waiting for a red light to change, an SUV went through the intersection at full speed. Distracted Driver aboard? Southward into Crystal Cove and Morro we were really moving and dodging the substantial overgrowth into the bike lane. 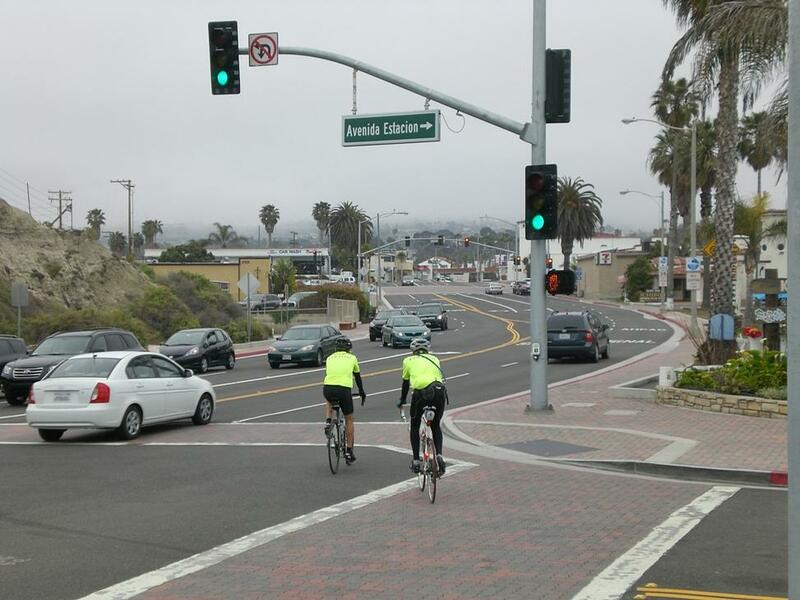 For Laguna Beach we pressed for forward even though there is no bike lane, tons of distractions, and everything that makes Laguna Beach a popular place to avoid (especially after 8 if you are a cyclist). Running the gauntlet through town, we were stopped by a red light and Moe called for a calorie break. Onto the side street calories were inhaled, a quick picture or two, and we resumed the ride towards South Laguna and points beyond. Entering Dana Point, we took the “postcard route” and descended Cove to Harbor with its inviting restrooms. After a quick bio break, we rode through the campground and onto the protected path out of town. Our previous pace put us ahead of schedule so we throttled back a little and pulled into the old Metrolink station, home to Urban Bicycle Outfitters, and .3 miles from the Protest Pedlers’ hotel. Bob had his bike looked at, as Moe and I reviewed maps and direction for the next leg to San Diego. 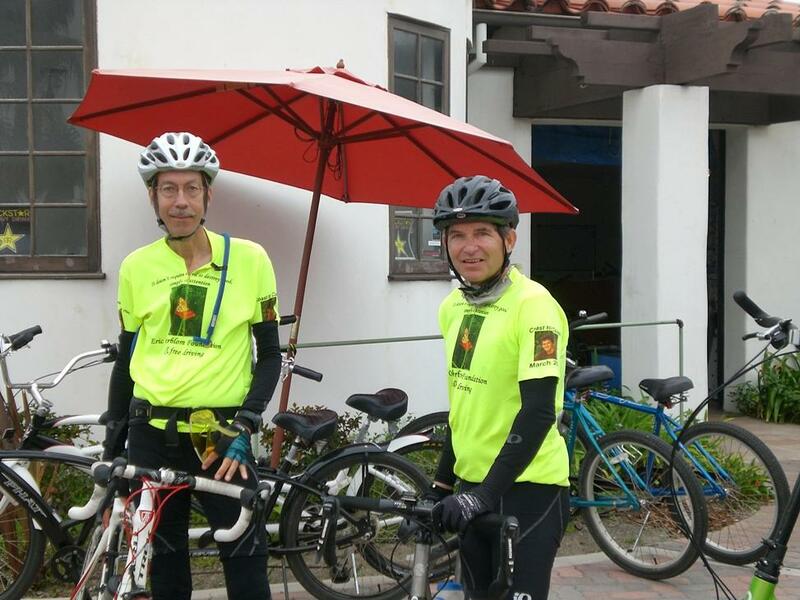 Bob returned with his bike and then it was just he and Moe to finish the short uphill grind to their over-night. Your faithful reporter looked at the hill and begged off as he was cooked from the blistering pace set by Moe and Bob and needed a little more time to recover before riding off into the sunset. 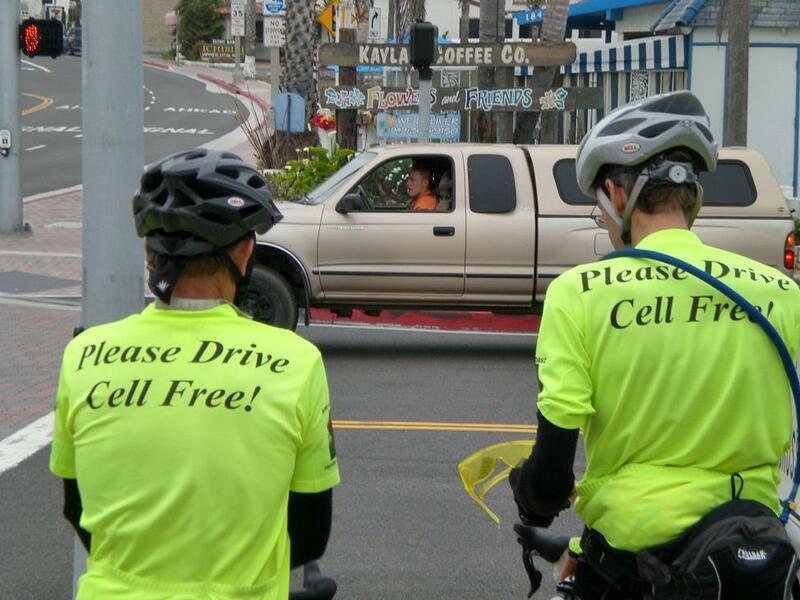 This entry was posted in County News, Event, Rides & Events and tagged event, oc, ocbc by Pete van Nuys. Bookmark the permalink.